Make Your Own Special Occasion! 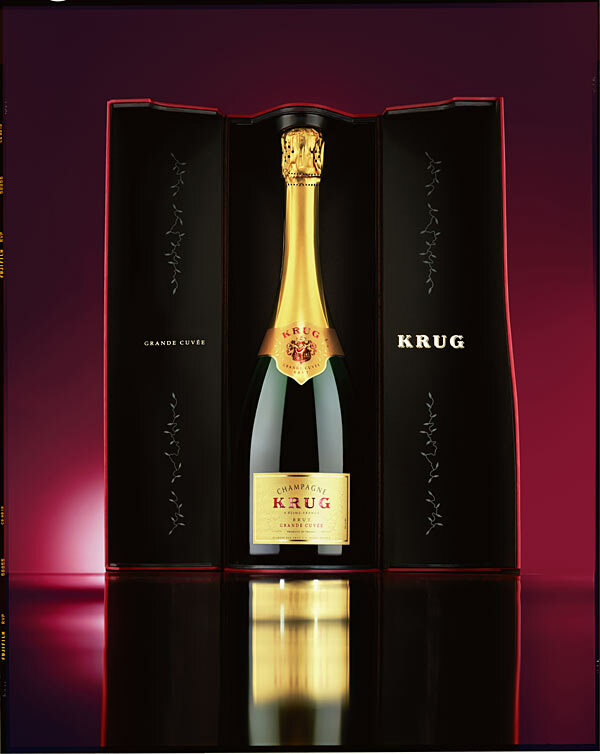 To make up for not being there for my ex-colleague’s wedding, I thought a bottle of Krug Grande Cuvee would be perfect. “Make your own special occasion to celebrate”, is what I told the happy couple. There was actually quite a large selection of champagnes to choose from, but I went for the brand that I trust and, quite honestly, the one with the most handsome promotional discount. Shopping for wine and spirits is a rather joyful experience here in Hong Kong. The tax is relatively low, and the selection is quite abundant. I am not that of a discerning connoisseur when it comes to personal consumption, so I usually go to the nearest wine cellar or even supermarkets whenever the craving arises. 15% off for a total above HK$300, or 15% to 20% off for 6 bottles and up. Not to say the least, there are usually these happy celebrations or get-togethers as triggers for me to buy wine. No wonder it is always an enjoyable shopping experience for me. No, I don’t touch alcohol when I am in a foul mood. It only makes it worse. In the hospitality industry we make a lot of money from patrons consuming alcohol, to say the least. We stock all types of alcohol you can think of, as we welcome visitors from around the globe and each expects to receive their own particular cocktail recipe or spirits at banquets or weddings. This naturally attracts the attention of wine makers and traders. They want our business, and they want us to help promote their particular brands to our customers. This is where my job becomes interesting. Although I am not really responsible for food & beverage procurement which is serviced by my very competent group of colleagues, I get involved in any type of “sponsorship” deals. The above is a type of sponsorship contract where wine makers offer us a larger discount to have us pick their brand of, say whisky, as our default brand of offering. Of course, if patrons demand their own particular brands, we will gladly oblige. Otherwise this is normally a win-win deal for both parties because they get to boost sales through us, and we get to buy whisky at a much larger discount upfront. I normally look at deals like this from a variety of angles. Can we accept the quality of these particular brands? Check with the experts and the front-line executives. How much more discount do we have? Is it worth it? The consumption is likely to be bigger and we need more inventory; Can we NOT get charged for the inventory until it is consumed? How do we protect ourselves from any potential damage or loss of inventory? Can we eliminate exclusivity? Can we actually have further rebates at the end of the sponsorship period? There is nothing more exciting for me to actually bring in extra revenue to the company, on top of cost savings. Sponsorship deals are common in this industry, and barter sponsorship is another type that we can get what we want for free. Well, as responsible procurement practice we know nothing is free, so we still calculate the opportunity costs of everything we put up for barter. Free room nights, free breakfasts, free limo pickups etc. all carry a price, and I am responsible to break it all down for my Finance counterparts to verify and determine whether the deal is indeed beneficial to the company. In the case of alcohol sponsorship above, the deal is approved with flying colors. I get both savings as well as a sizable piece of revenue for the company. Evidently, alcohol does make me happy… even at work. Bottoms up!